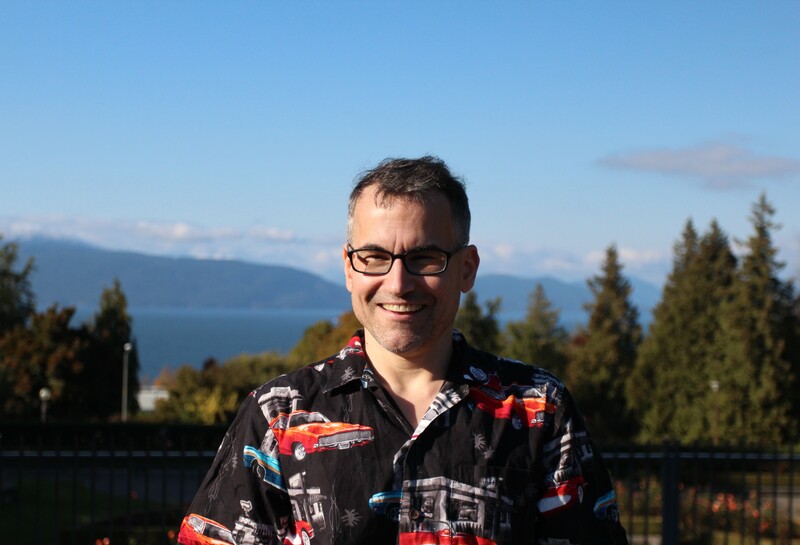 Dr. MacLachlan grew up in Quesnel, BC and completed his BSc degree at UBC. He then completed his PhD at UofT (I. Manners & G. Ozin; inorganic materials, polymers, and molecules) and a post-doc at MIT (T. Swager; organic materials). Dr. MacLachlan has taught Chemistry 121 (General Chemistry), 202 (Coordination Chemistry), 427/527 (Materials Chemistry), 414/525 (Adv. Coord. Chem. ), and 527 (Nanomaterials). His research is in the area of supramolecular materials. He loves the world of materials chemistry - organic, inorganic, porous materials, crystals, polymers... When not in the department, Dr. MacLachlan enjoys drinking coffee, cycling, skiing, camping, creating crossword puzzles, and spending time with his family. Thanh was born in a small beach village in Hue province and raised in an ancient Hue city in central Vietnam. He received his BSc (2003) and MSc (2006) degrees in Chemistry at Hue University in his hometown. In 2007, he moved to Quebec for his PhD in Chemical Engineering at Laval University. He had worked with Professor Trong-On Do on the nanoscale assemblies and completed his PhD degree in 2011. He then moved from East Coast to West Coast to join the MacLachlan group as a Postdoc and now he turns to a Research Associate. His research is in the area of materials chemistry. He loves chemistry to consider materials chemistry as a tool to create a world of new materials with fascinating functionalities that can be made of both inorganic and organic elements. His current research interests are focused on the inspiration of new structural forms based on the supramolecular self-assembly and biomimicry to use them as a template and precursor for constructing new organized materials. He likes to learn about incredible design concepts to let materials be in the structural diversity as they can be nanostructures, porous structures, hybrids, polymers, thin films, fibers, crystalline frameworks... Beyond research, Thanh is enthusiastic to teach Kid's Chemistry for his son at home. He also enjoys drinking coffee, cooking, camping, and taking care of the family. Born in Nottingham, England, Charlotte graduated from the University of York in 2012 with a MChem in Chemistry with a year in industry. In 2012, Charlotte moved to Bristol to join the Bristol Chemical Synthesis Centre for Doctoral Training at the University of Bristol. 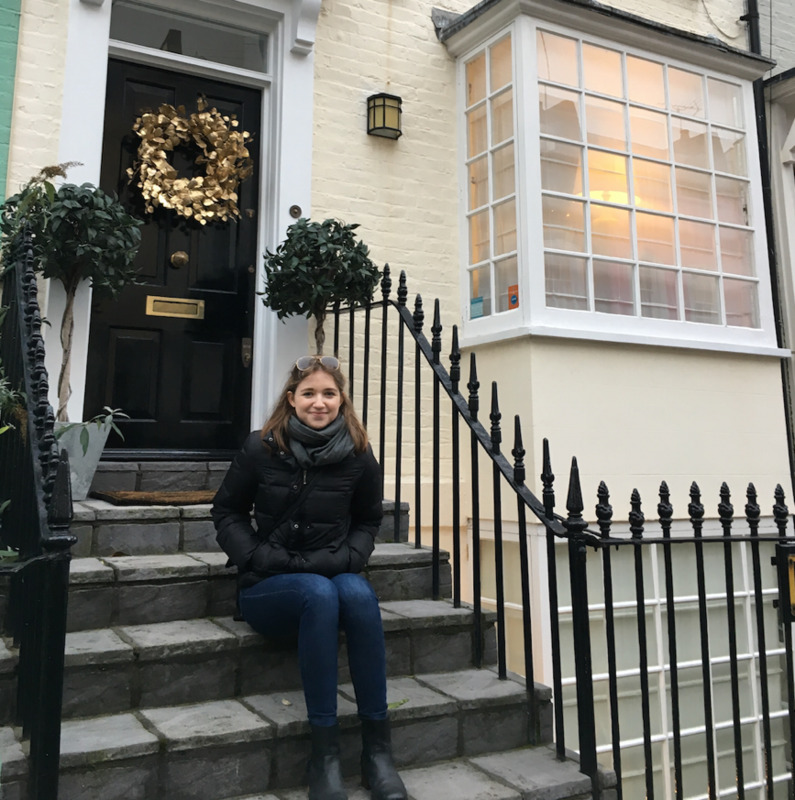 After completing 3 different lab rotations as part of the Chemical Synthesis CDT training period Charlotte decided to undertake a PhD project in the Manners group based on the solution self-assembly of block copolymers, which she completed in October 2016. Charlotte joined the MacLachlan lab in May 2017 to work on the functionalization and self-assembly of cellulose nanocrystal. In 2018 Charlotte was awarded the Banting and Killam Post-Doctoral Fellowships. Miguel was born and raised in a small village called Tultepec, located just few kilometers away from gorgeous Mexico City. He completed his bachelor at Universidad Nacional Autonoma de Mexico (UNAM) in 2010, working on the self-assembly of hermaphroditic molecular monomers to produce supramolecular polymers, commonly referred as daisy chains. Just after defending his undergrad thesis he moved to Mexico City to start with his graduate studies under supervision of Dr. Jorge Tiburcio at Centro de Investigacion y de Estudios Avanzados (Cinvestav), his PhD work was mainly focus on the development of environment-responsive supramolecular materials, based on poly(pseudorotaxane) and poly(rotaxane) macromolecular structures. In March 2017, just after defending his PhD thesis, Miguel joined our group as a Postdoc. He is currently working on the study of labile mechanical bonds and their incorporation into molecular and polymeric functional devices. 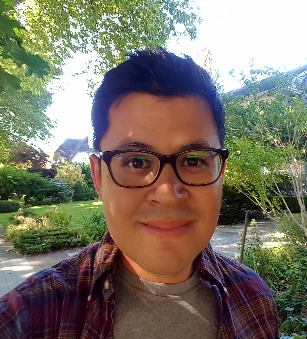 Beyond Chemistry, Miguel enjoys teaching Mexican-Spanish slang to our team members. He also loves drinking coffee, listening to music, playing basketball, board games and tasting all type of beers found in Canada (except for IPA though). Yuanyuan was born in a small city called Leshan, located in Sichuan Province of China. She completed her BSc degree (June, 2010) in Southwest University of Science and Technology and received her PhD degree (December, 2015) in Shanghai Jiao Tong Univerisity. In April 2017, she joined the MacLachlan group as a postdoc and is currently working on developing chiral mesoporous materials. In her spare time, she enjoys reading and watching science fiction movies. Peixi was born in an ancient city in central China named Kaifeng. He went to Jilin University in Changchun in 2010 to study chemistry and completed his BSc degree in that extremely cold but beautiful city four years later, then he joined the MacLachlan group as a new PhD student in Sep. 2014 for his interest in microscopic control of chemical processes and materials, his first research project will be related to template synthesis of inorganic solids. He enjoys playing guqin, an ancient Chinese instrument in his spare time. Debbie was born and raised in Edmonton, Alberta. After high school, she moved to Burnaby, where she completed her undergraduate degree at Simon Fraser University. After a wonderful time working with Prof. Danny Leznoff on heterobimetallic coordination polymers, Debbie decided to make the journey all the way to Vancouver proper and pursue graduate studies with the MacLachlan Group. Here, she is working on polymetallic "picture frame complexes". Apart from chemistry, her loves include knitting, baking, insects, and the ocean. Lev is from beautiful Sydney, Australia. He completed his Bachelor of Science in Nanotechnology with Honours working with Profs. Pall Thordarson and Peter Gunning at the University of New South Wales. He then worked as a research assistant in an advanced fluorescence microscopy lab with the Biomedical Imaging Facility at UNSW for nearly two years before making the move to UBC in August 2014, to pursue a PhD in Chemistry. In the MacLachlan group, Lev is working on gel materials using nanocrystalline cellulose. Chris moved here from Toronto, where he completed Honours Bachelor of Science in Chemistry working with Prof. Gilbert Walker at the University of Toronto. He started his PhD degree in the MacLachlan group in 2015, and is working on the development of new nanomaterials from chitin and cellulose. Chris enjoys skiing, windsurfung, and cooking in his free time. Andy was born and raised in Ontario, Canada. He completed his BSc honours degree in chemistry (specializing in chemical biology) at McMaster University. He worked with the Saravanamuttu (McMaster University) and Aizenberg group (Harvard University) in developing reversibly self-trapping hydrogel systems. He started his PhD work in the fall of 2015 in the MacLachlan group working on cellulose-based nanomaterials. His work focuses on understanding the self-assembly process in developing cellulose nanocrystal films. Andy enjoys searching for new restaurants to try all around Vancouver! He especially enjoys trying new styles of ramen and instant noodles. Yitao Xu was born in Shantou, a beautiful seaside city in China. He completed his BSc in Materials Chemistry at South China Agricultural University and got his Master degree in Materials Engineering at University of Science and Technology of China. 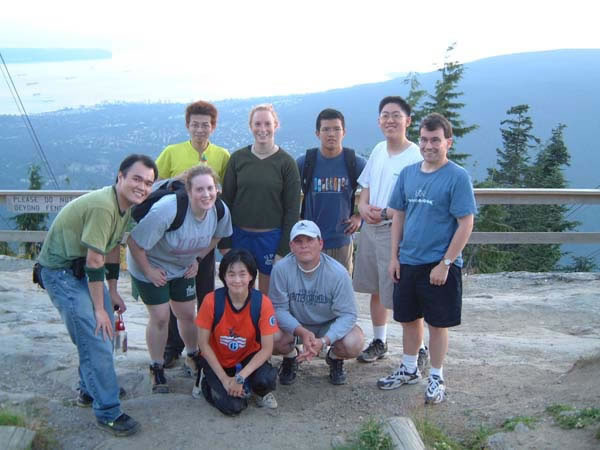 In 2016, he got a chance to join the MacLachlan group at UBC. 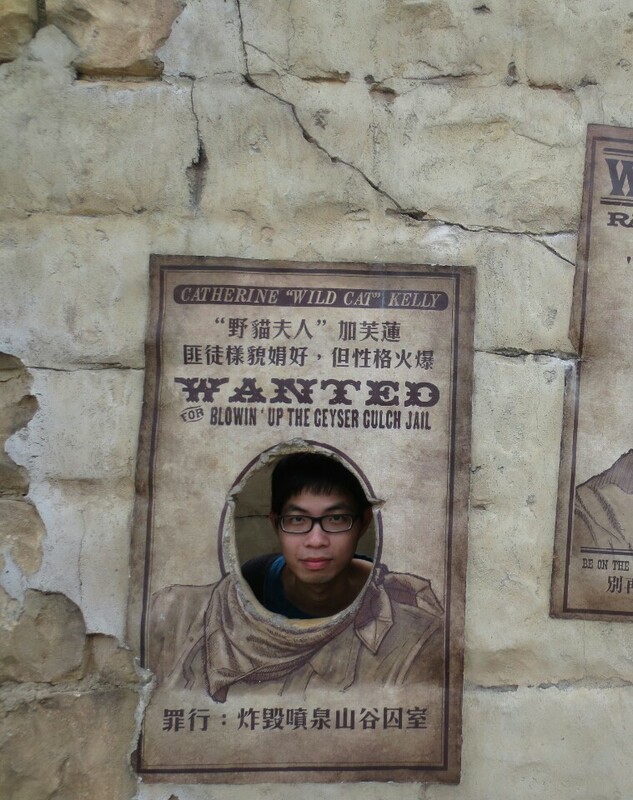 Yitao enjoys badminton, football, traveling, animations and WAR3 in his spare time. Francesco D'Acierno was born and raised in Turin, Italy. He completed his BSc in Materials Science at Universita degli Studi di Torino (2013). He was admitted in the MaMaSELF program (Master in Materials Science Exploiting Large-scale Facility), a two-year Erasmus Mundus project funded by the European Commission. In this frame he completed a MSc in Geochemistry & Geomaterials at Ludwig-Maximilians-Universitat Munchen, in collaboration with Technische Universitat Munchen (2015) and an additional MSc in Chemistry, Materials & Processes for Energy and Sustainable Development at Universite de Montpellier (2015), as well as an extensive training on large-scale facilities (nuclear reactors, synchrotrons, etc.). He was also a Visitor Scholar at the Department of Physics at University of Connecticut (2015), developing his thesis and other parallel research projects. 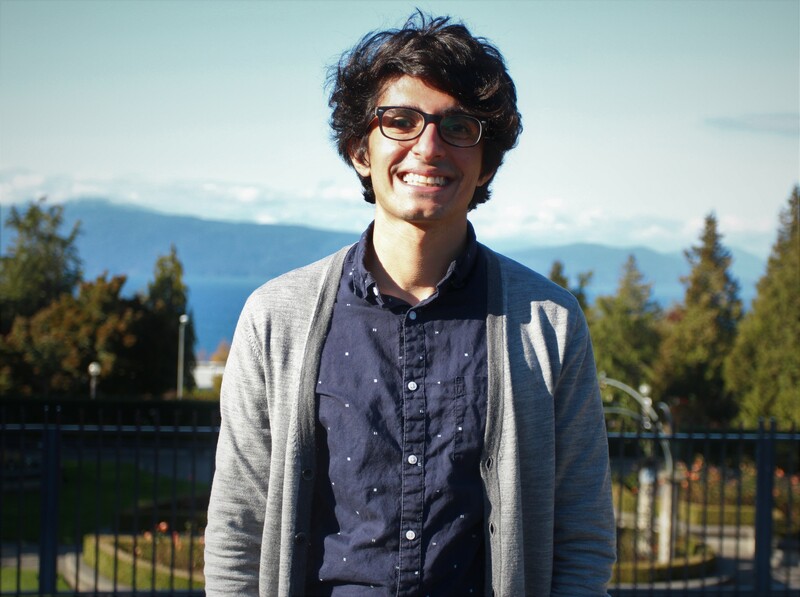 He began his PhD in Sept 2016 in Chemistry at UBC, under the supervision of Prof. Michal and Prof. MacLachlan. His work concerns the investigation and the improvement of the thermal stability of cellulose nanocrystals and filaments. During his free time, he loves playing Ultimate Frisbee, reading, learning new languages and explore undiscovered areas in Vancouver and the World. Mohammad (Mo) is from Toronto, Ontario. He completed his BSc in chemistry at Ryerson University, during which he was a member of the Koivisto (organic dye-sensitized solar-cells) and Viirre (stereoselective catalysis) groups. In 2016 he decided to leave Toronto and move across the country to beautiful Vancouver to start his PhD in the MacLachlan group. Aside from chemistry, He is enthusiastic about playing tennis, cooking, bird watching, and socks with interesting designs and patterns. Jeanette was born in Germany (she is half Polish, half German) and grew up living in England, the USA and Germany. She completed her BSc (Hons) in Chemistry at the University of Aberdeen (Scotland) in 2018, with an exchange year in Hong Kong. She decided to move across the Atlantic Ocean to start her PhD in the MacLachlan group, where she is working on molecular gels. Her hobbies include travelling, reading, hiking and food. 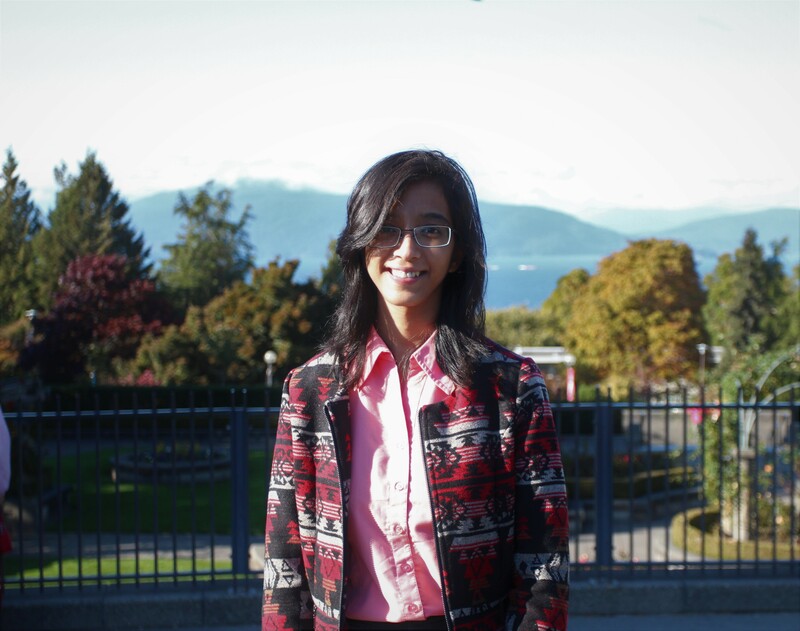 Born and raised in India, Madhureeta completed an Integrated M.Sc. in Chemistry from Indian Institute of Technology, Kharagpur where she worked on metal-organic frameworks for her masters project. Having fallen in love with Canada during a summer internship at the University of Alberta, she moved to Vancouver in 2018 to start her PhD in the MacLachlan group where she's working on gelation of nanocrystalline cellulose. When not in the lab, Madhureeta enjoys exploring around the city and reading novels. She loves cats, dogs and Harry Potter! Dongjie was born in a small county called Rongcheng (now called Xiong'an New District since 2017). She went to Harbin Institute of Technology in Harbin to learn Polymer Materials and Engineering, and completed her BSc degree in 2014. She then continued to do her PhD work at the same school. In October 2018, she joined the MacLachlan group as a visiting student. In her spare time, she enjoys walking, reading, talking, and watching some TV shows. Born and raised in Vancouver, British Columbia, Leslie is currently completing her 4th year BSc in chemistry at UBC. She has travelled to many different cities across North America for research opportunities and co-op placements. Leslie has completed summer internships at the National Research Council in Ottawa with Dr. Linda Johnston and Polytechnique Montreal with Dr. Fabio Cicoira. She also spent a year working in the analytical department at Cytec Solvay, a chemical company in the United States, through the UBC co-op program. In the MacLachlan group, Leslie is working on using chitin nanocrystals to develop novel dental polymers. In her spare time, she loves running, hiking, playing the piano, and trying out new restaurants. Are you an alumnus or alumna of our group? Please email Mark with your current location and position and anything else you'd like posted so we can update our webpage. Also, if you have any old group photos to share, please send them in!